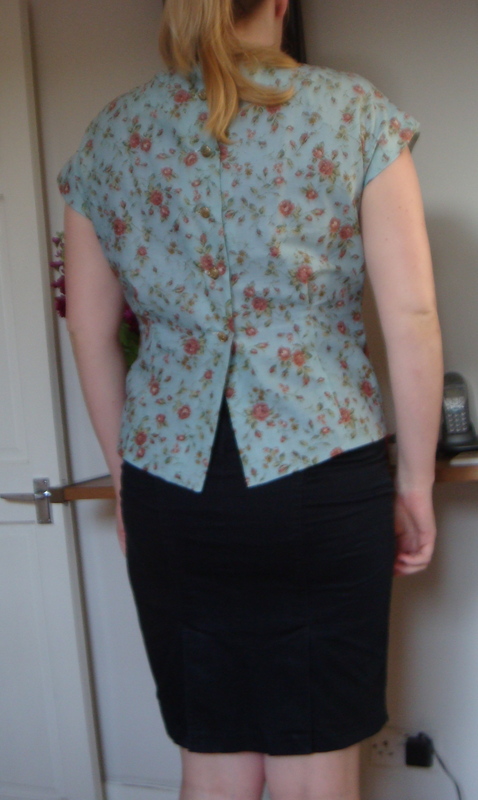 I finally got round to making up a version of the Sencha Blouse from Colette Patterns. I’ve had this pattern for a while but then lost it. Only to find it in a particularly illogical place – (having thought that it would be a logical place naturally!). Does that happen to anybody else? 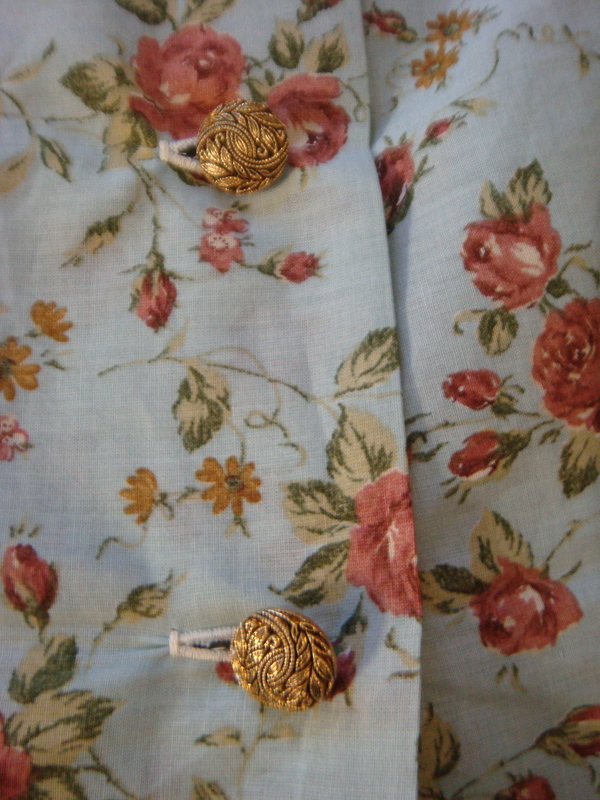 I made up a size 12 in a blue floral fabric that I bought from Fabrics Galore. I remember it being fairly cheap, it’s a lightweight printed cotton, perhaps a little lighter than lawn. It’s not my favourite print but I am desperately short of smart work wear and new clothes!! Loose but curvy shaped blouse with deep tucks at the front and back waist that has buttons down the back. Multi sized 0 to 18, I made the 12. Colette Pattern instructions as usual are a dream to follow! Very easy. I like the sleeves but it is a bit too high necked for me at the front. Blue floral cotton fabric from Fabrics Galore, London. Buttons from eBay. No alterations made. However in the future I would not use a button with a shank (for obvious reasons!). I would lower the neckline at the front. The top is a little bit baggy for me above the bust, so if I made it again I would play around with the depth/length of the pleats to eliminate this. Also, if I do it again, I would definitely lengthen it. Perhaps, but I have so many other patterns that I want to make up! A quick and easy project – I don’t think it took me more than half a day. Of course you can be quicker but I wasn’t in a hurry. I have a love for floral. The blouse looks very cute. Is it comfy? I have this pattern in my stash too. Can’t wait to make it.